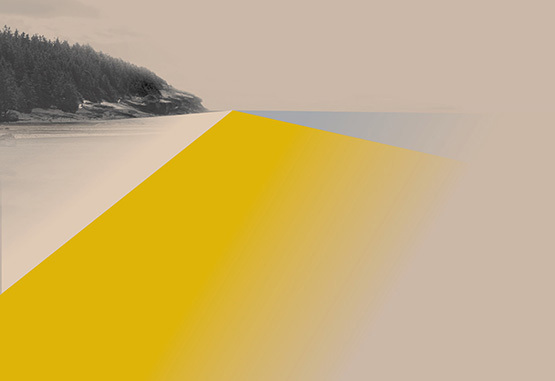 As part of the Blue Cabin Speaker Series, artist Jen Weih and artist and curator Vanessa Kwan will speak about The Foreshore’s past and current projects. Sharing insight and intersections between ideas found in the Foreshore and themes and ideas within the Blue Cabin Project, which is a collaborative project between Other Sights, grunt gallery and C3. Jen Weih is an artist and educator based in Vancouver, BC. Her projects range from printmaking to video to participatory movement events to projects in public programming and community engagement. She is currently a sessional instructor at Emily Carr University and has been actively involved with Other Sights for Artists’ Projects since 2011. From 2000 to 2003, Jen was programmer at VIVO, where she initiated public and community engaged projects and founded Signal and Noise Media Art Festival. She recently completed an artist residency at the City of Vancouver with City Studio and Living Labs. Vanessa Kwan is an artist and curator with a focus on collaborative, site-specific and community-engaged practices. At grunt gallery she manages residencies, exhibitions and special projects and is also curator / producer at Other Sights for Artists’ Projects, an artist-run organization that curates and produces artworks for the public realm. She is a founding member of the arts collective Norma who were honoured with a Mayor’s Arts Award for public art in 2012. She regularly writes and publishes on art and culture, and is currently at work on curated projects at venues across the Pacific Rim (Vancouver, Seoul and Sydney) exploring artist-led creative exchange. The Blue Cabin Floating Artist Residency brings forward a desire and need for alternate modes of living and working and expands our understanding of what constitutes public space. 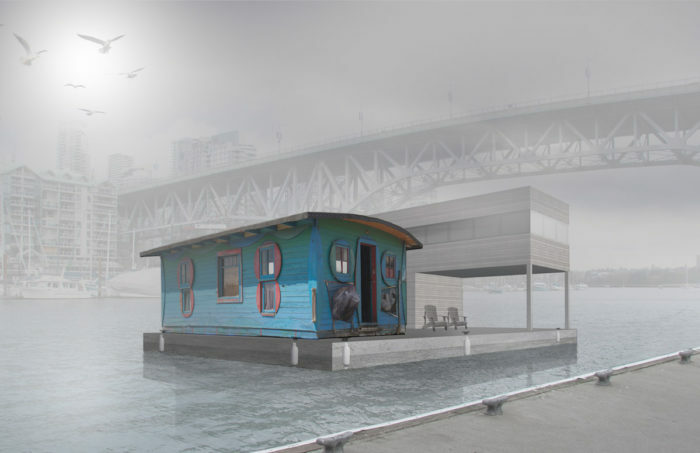 Representing the last vestiges of a cultural tradition of artists and others living in squatters’ shacks along the foreshores of this region’s waterways, Al Neil and Carole Itter’s Blue Cabin was one of many structures that dotted the shores of the Burrard Inlet. When the adjacent land occupied by MacKenzie Barge and Shipbuilding for 100 years was sold to Polygon Homes for redevelopment, the cabin’s demolition seemed imminent. Working collaboratively and with the support of many, Other Sights, grunt gallery and C3 moved the cabin to a nearby storage site and then on to Maplewood Farms where, in the sheep pasture, it underwent extensive repair by artist team Sus and Jeremy Borsos. The organizations’ vision for the cabin is to outfit it as an artist studio and to mount it to a floating platform alongside a tiny house, to serve as a vital, off the grid, multi-disciplinary floating artist residency. The idea to set the cabin adrift from ownership or permanent location speaks to its history and occupation of the foreshore as a generative space. The Blue Cabin Floating Artist Residency is unique to this region while global in its reach.